Musa acuminata, the Bananito, is a species of the genus Musa, and is a fruit which resembles a short fat banana. 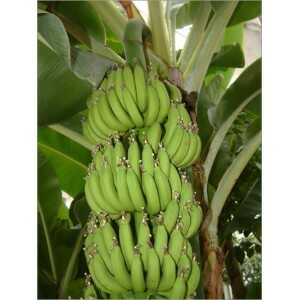 They are sweeter than the more common dessert banana, and have an apple-like taste to them, which leads to them also being known as apple bananas as well as ladies fingers and baby bananas. They are best eaten very ripe. If the seeds appear dry, soak them in warm water for 1-3 days. Pandanus seeds will float, all others should sink in water. For sowing, use peat, cocofiber, or similar media. It should be moist but not wet. Take a fistful. If you can just squeeze a couple of drops of water from it, then it is about right. If you can squeeze more, then it is too wet. If too dry, add a little water and try again. Mix the seeds with the moist compost and place into a clear plastic (ziploc) bag, label with species name and date, and seal.Place seeds in a well lit spot but out of direct sunlight, at temperatures between 25 and 30°C (75 to 90°F). 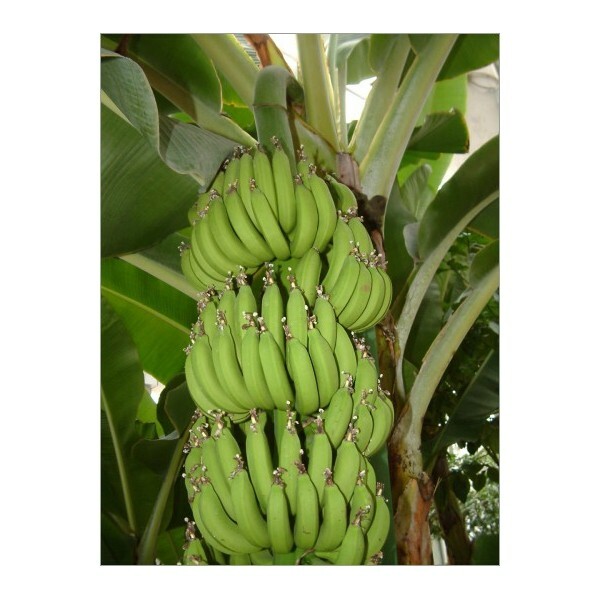 Most bananas benefit from hot days and cooler nights for best germination.Check weekly for signs of activity by looking for shoots. Ensure that the medium does not dry out. The seeds can take anywhere from 2 weeks to a year (or more) to germinate; however, most will sprout after 4-6 weeks.After the seeds have sprouted, carefully transfer to a pot, label, fertilize and place in bright light, but not in full sun. Aim to keep the soil moist (but not wet) at all times, feed and pot on as required.